The beauty of chain piecing while making a quilt is you can sew continuously, joining piece after piece together in a short amount of time. 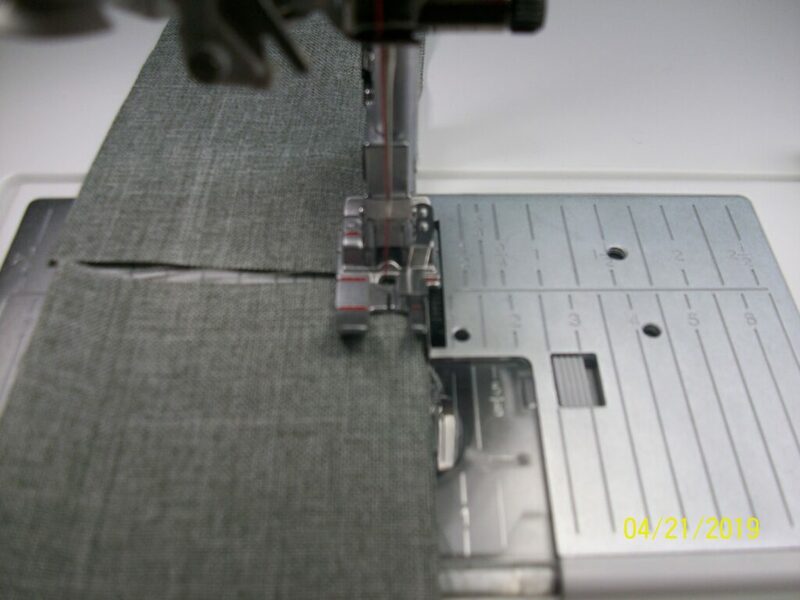 Chain piecing, on its own, does not allow for reinforcing stitches (sewing in reverse at the beginning and/or end of a seam) or you are defeating the time saving benefits of the technique. 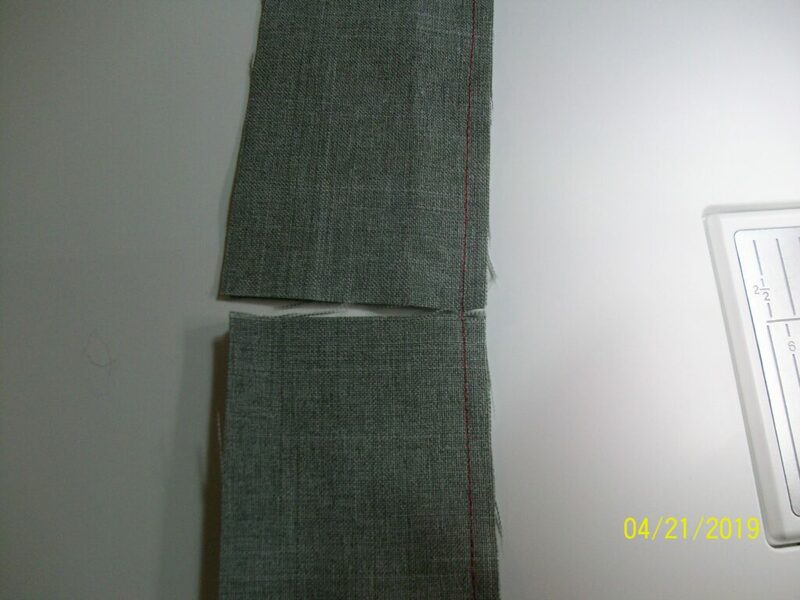 Most quality fabrics will stay together without this reinforcing stitch until the next seam is sewn across the first; but what about those fabrics that would benefit from reinforcement stitches at the beginning and end of a seam: especially those pieces that will get a lot of handling before the next seam is sewn? How can you keep these pieces from coming apart? My solution has always been to change the stitch length at the beginning and end of a seam, but that eats up a lot of time and becomes very monotonous over the course of a larger project. What to do? 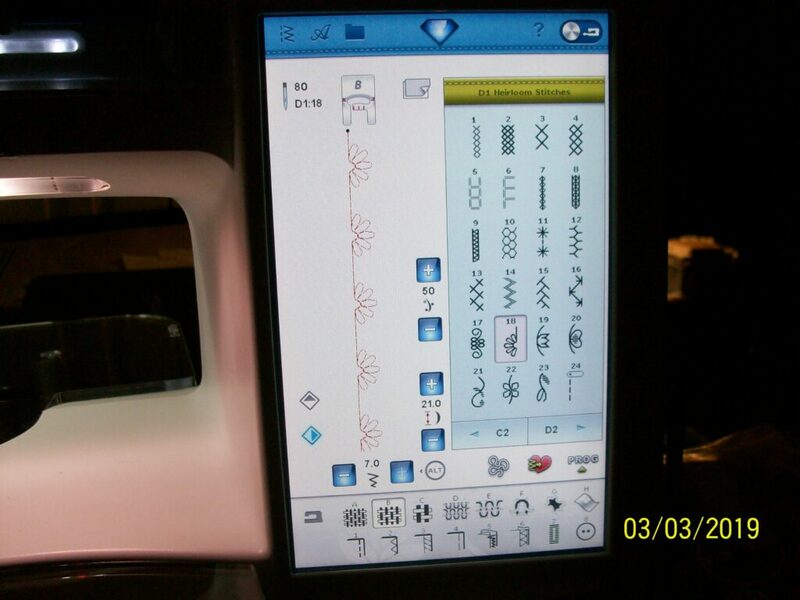 How about using your machine’s programming/sequencing ability to create the perfect seam? This is how I did it. 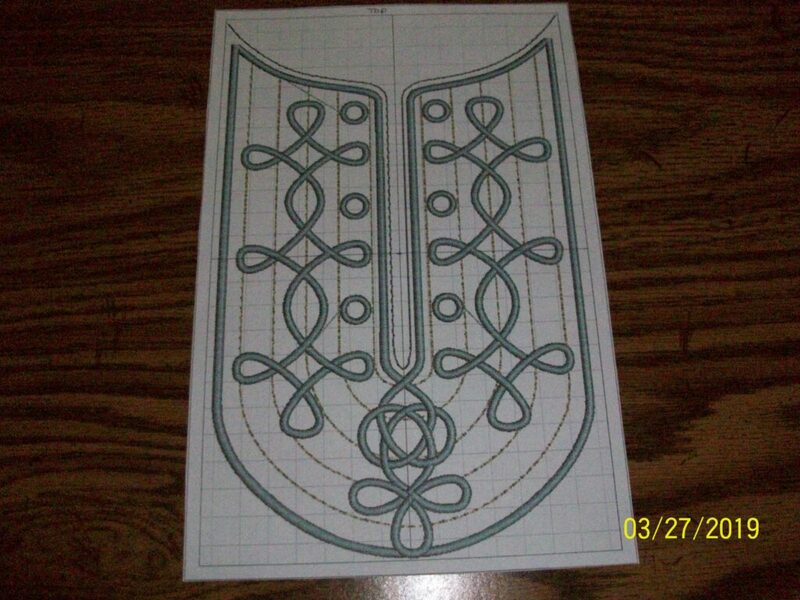 The challenge was to create a sequence (Pfaff terminology) or a program (Husqvarna Viking terminology) that was exactly the length I needed to sew a 5.5” fabric piece. I was going to piece together two 2.5″ wide by 5.5″ long pieces. I started with very small straight stitches for the first 6 stitches. Stitch length of 1.0 is very small. 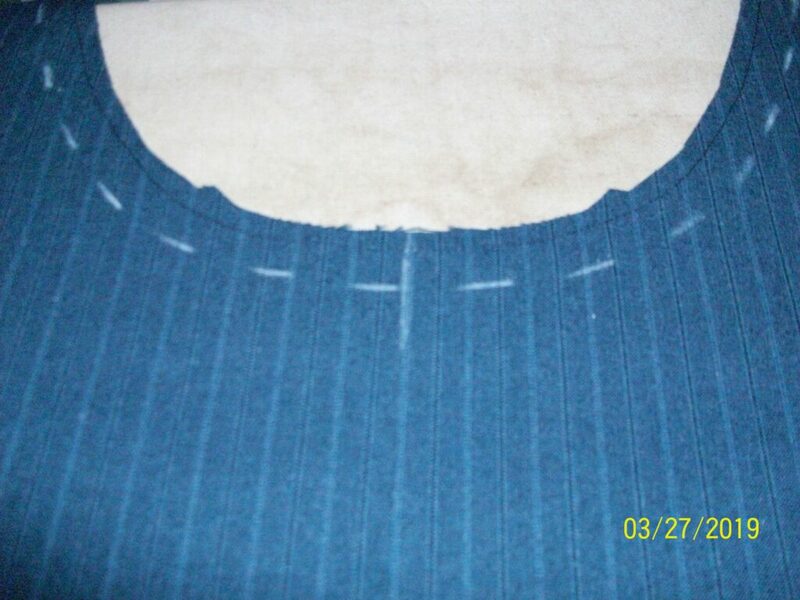 This is how each seam begins and ends. I then increased the length of the straight stitch for the next 53 stitches. 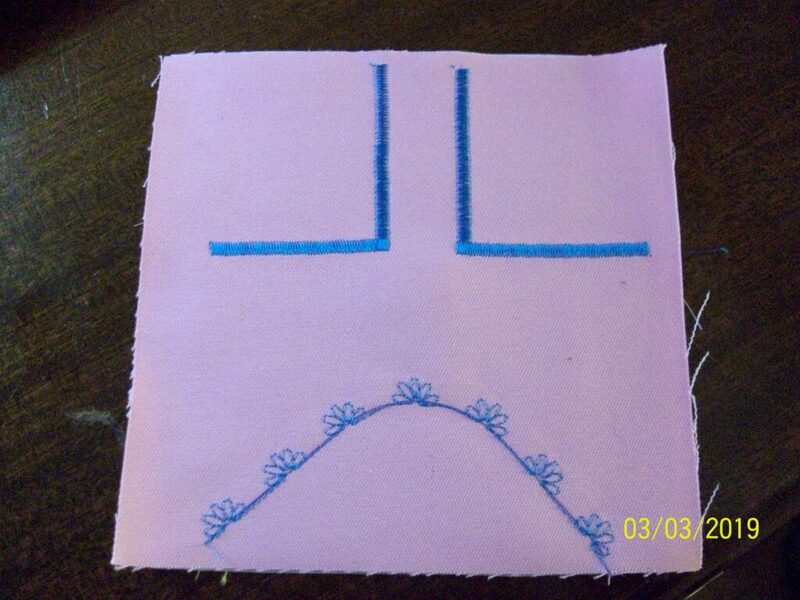 A stitch length of 2.5 is the common length for a straight stitch. I finished the stitch by ending back at the length I started the sequence with and inserted a Stop at the end of the sequence. Don’t forget to add the Stop command! Now, each time I came to the end of a piece, my machine would stop and let me line up the next piece in the chain. 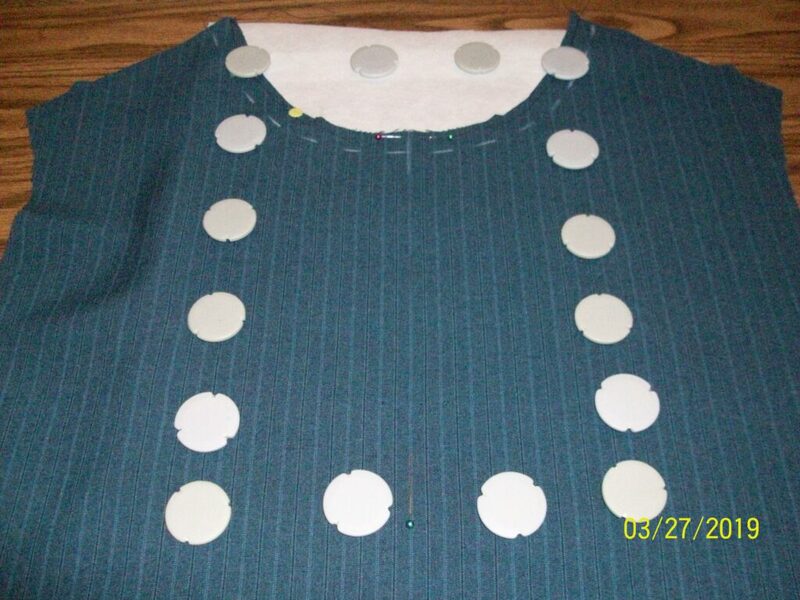 You can stop in the needle up or needle down position to add the next piece in the chain. I chose needle up. 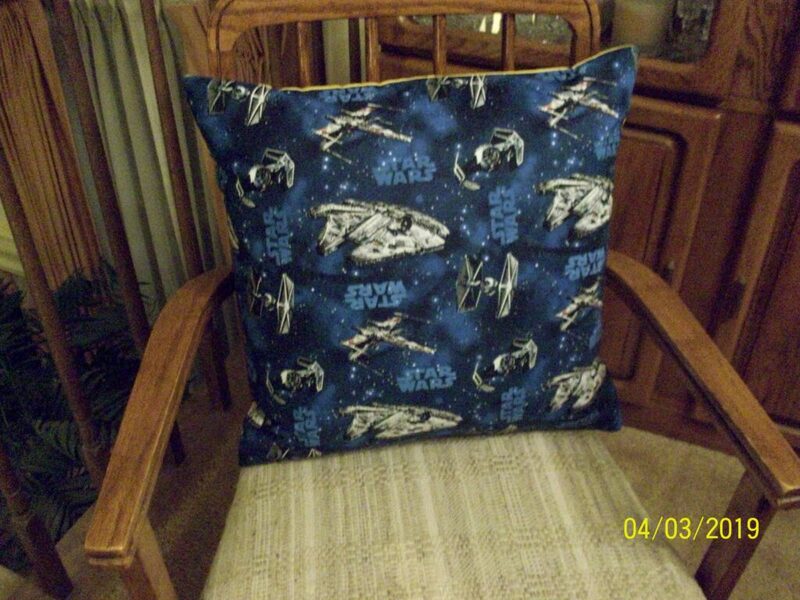 I could start sewing again just by pressing the foot pedal or by pushing the stop/start button. 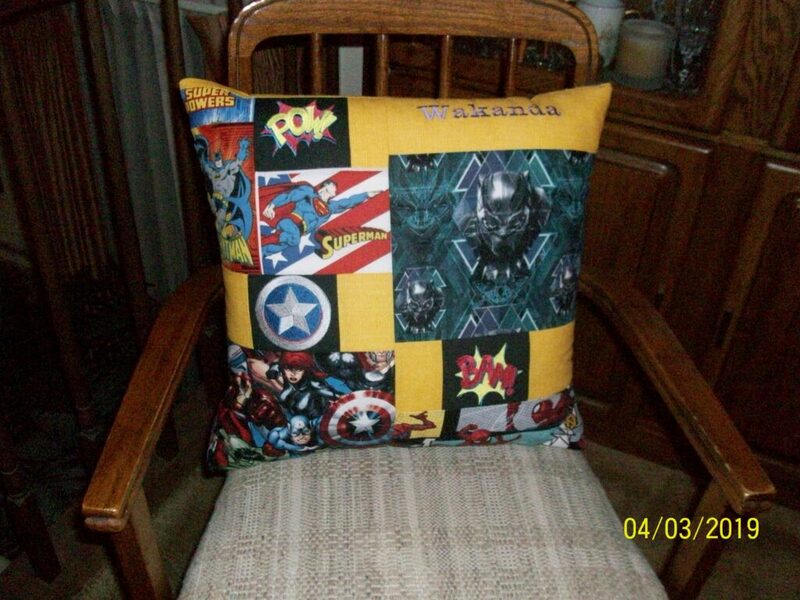 Here is what I created in my machine to sew an exact 5.5” piece of fabric (all stitches I used were straight stitches). 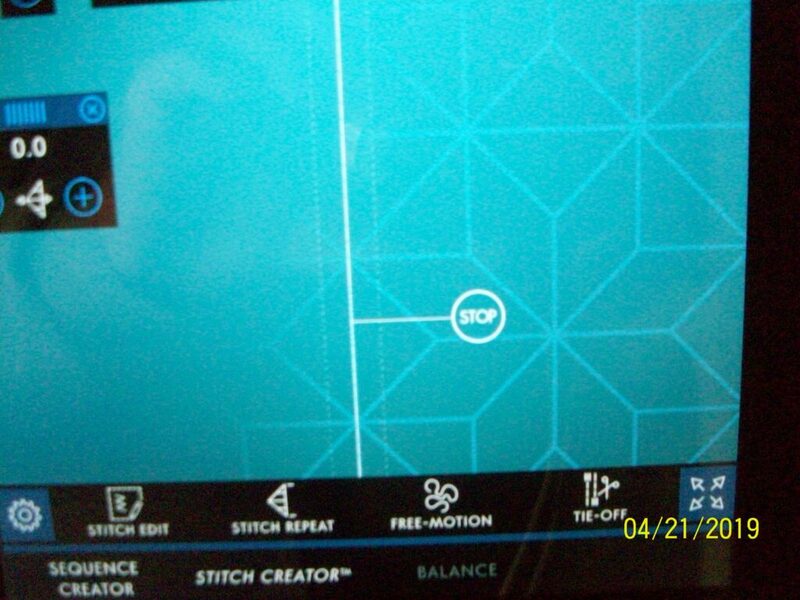 6 straight stitches at 1.0 length, 53 stitches at 2.5 length and 10 stitches at 1.0 length plus one Stop command. 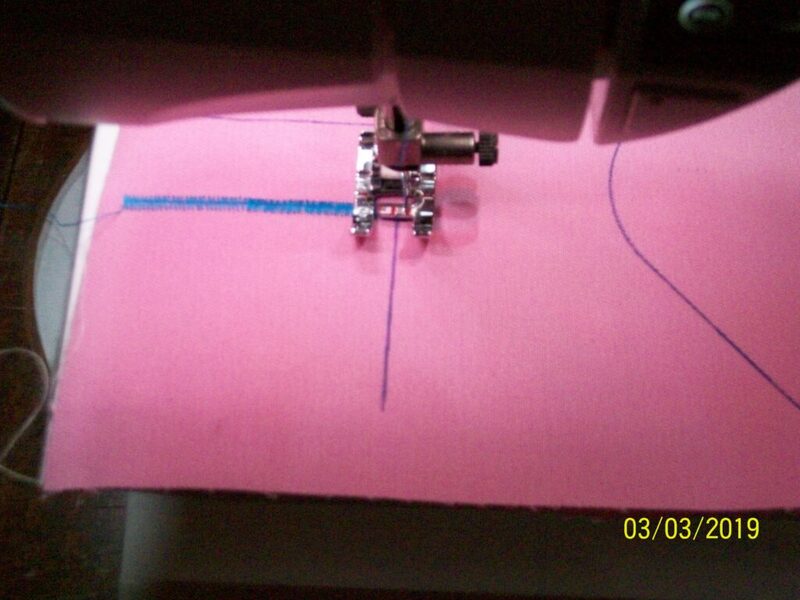 I then saved that sequence so I can now reload that stitch any time I would like to chain 5.5” fabric pieces. Each machine is a bit different, so you might need to tweak my numbers just a bit, but you might find this is your new favorite way to piece. Your pieces, because they have very small stitches at the beginning and end of the seam, hold up well to a lot of handling, either from pressing or from layout manipulation. If you need to stitch a larger piece size, add more stitches. 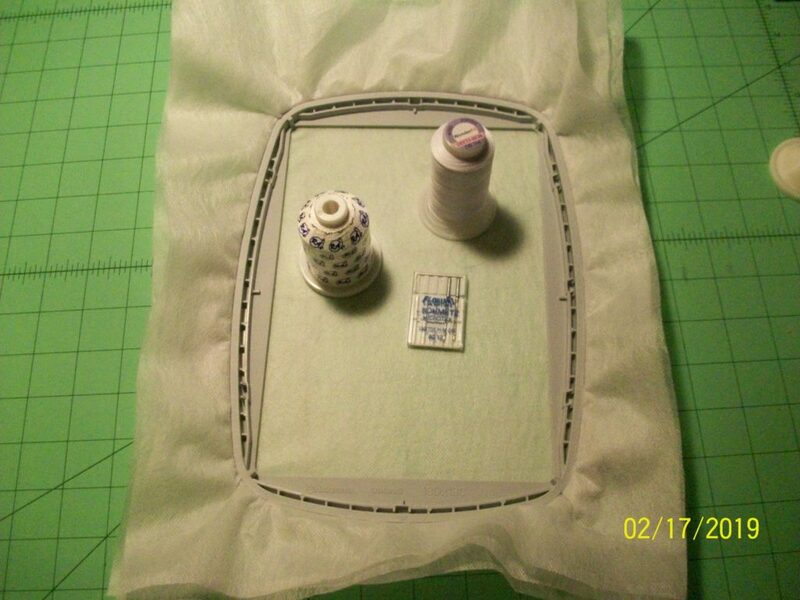 If you need to stitch a smaller piece, decrease the number of stitches. Once you have the framework, the adjustments are easy. 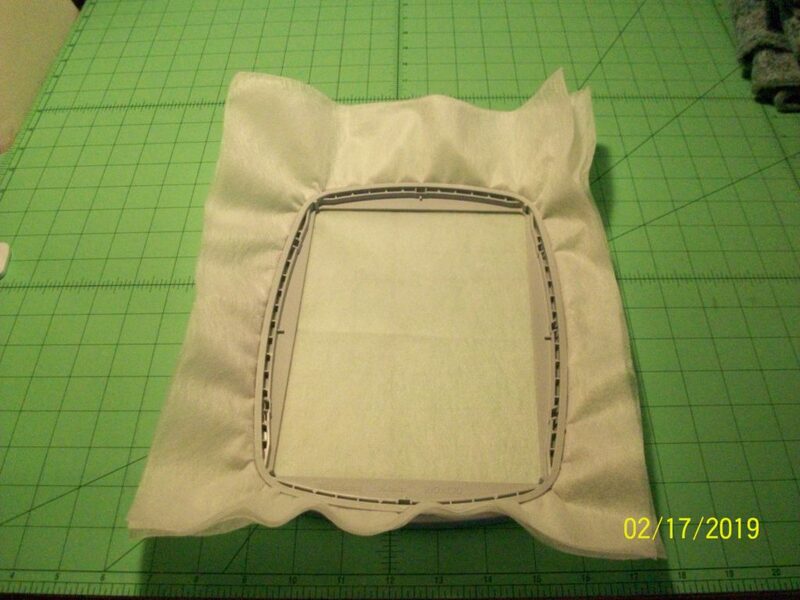 Also, once the sequence/program is complete and is in Sewing Mode, you are able to move the whole thing a bit to the left or a bit to the right to get the perfect 1/4″ or scant 1/4″ seam! The top box lets me know how long the sequence is (148.5) and the bottom box allows me to adjust the sequence to the left or right of the center needle position. 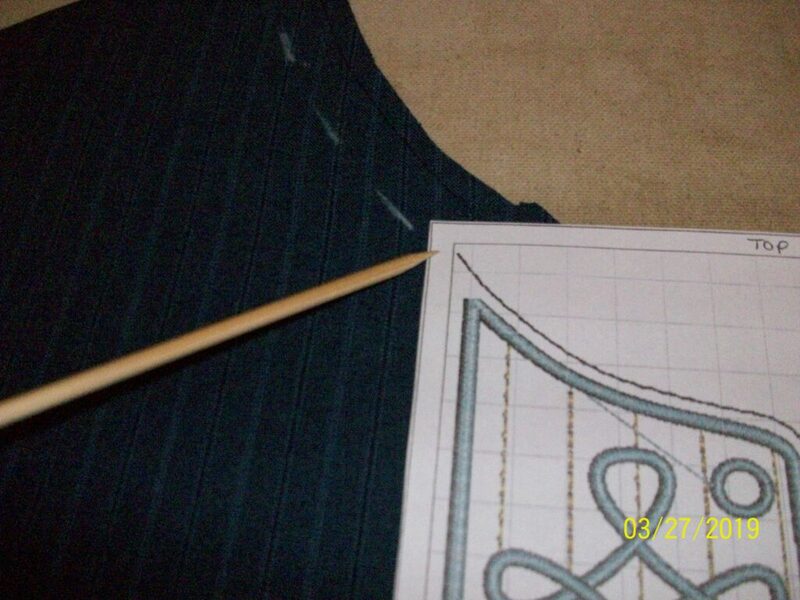 0.0 means I am using this sequence in center needle position. 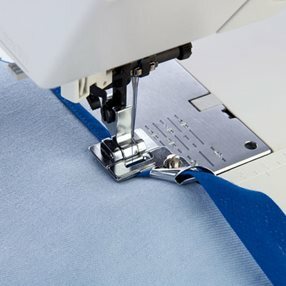 As I was teaching the “Sewing Machine Basics” classes yesterday, it occurred to me that I have never addressed how to put the zipper foot on the machine. I guess because I have inserted so many zippers over my life, it never occurred to me that someone had never inserted one. Talk about being in my own little world! Zipper insertion isn’t taught in our Basics classes because all it entails is a straight stitch, which I do cover, so putting the foot on has been something I assumed was obvious: but maybe not. 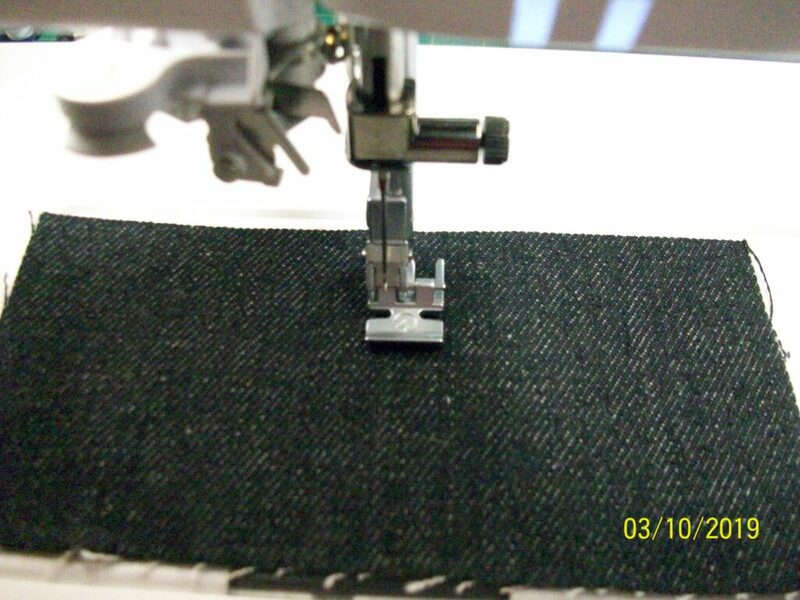 Almost every machine, no matter the price, comes with a zipper foot. 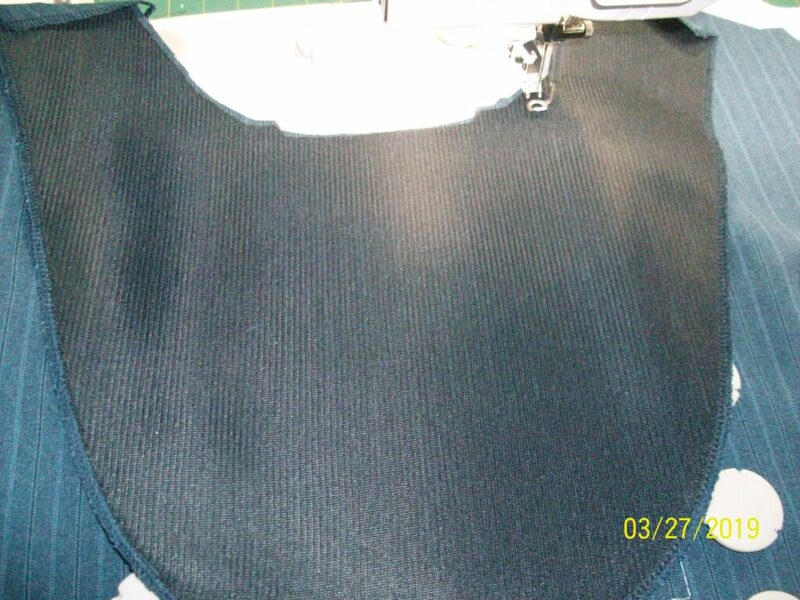 There are also optional zipper feet for specific purposes, but they all pretty much work under the same principal. 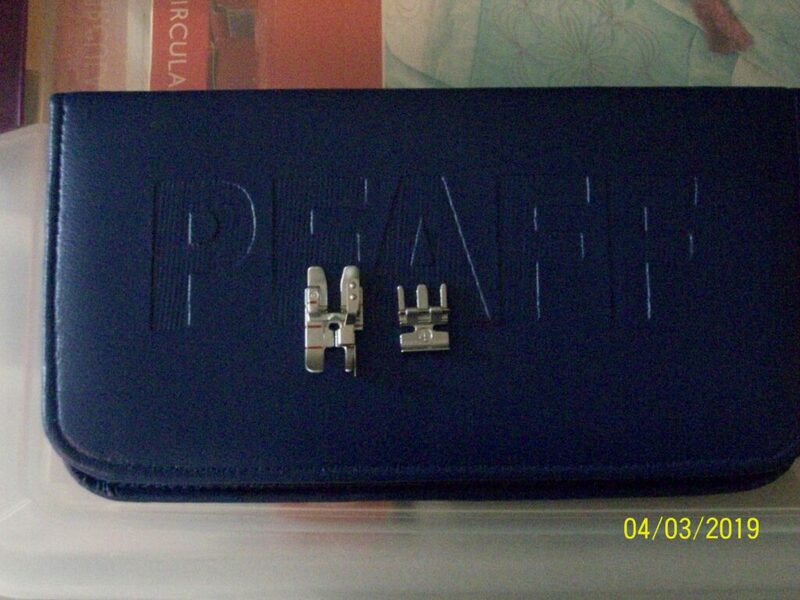 They all give you access to the zipper to allow you to sew as close to the zipper teeth as you want. 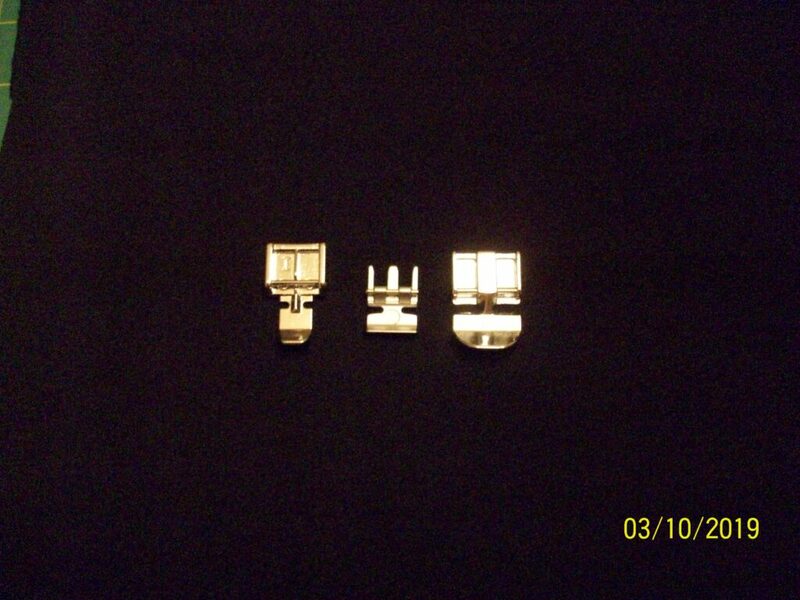 A basic zipper foot comes with the other accessories of your machine. 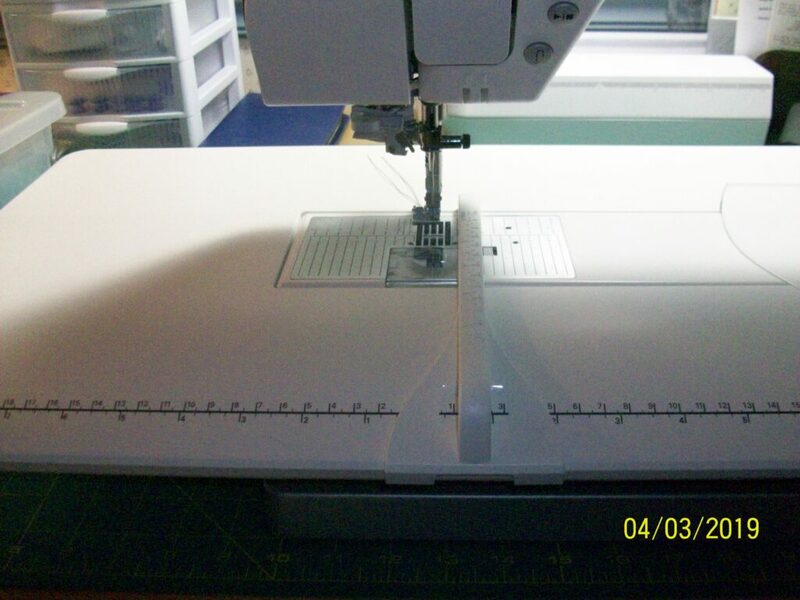 Included zipper foot for (left to right) Brother, Pfaff and Husqvarna Viking machines. 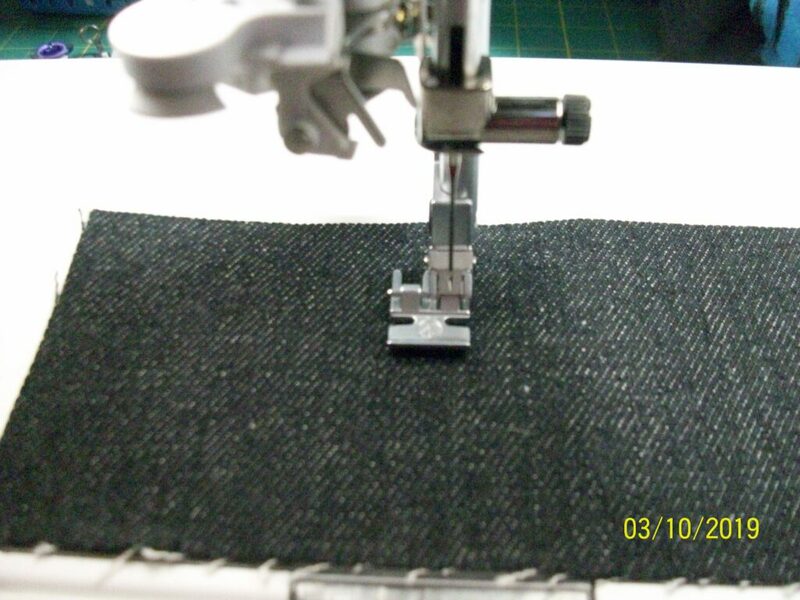 The zipper foot has the ability to attach either from the left or the right of the ankle to allow you to sew first up one side and then up the other side of the zipper without turning the project. Since you almost always install a zipper from the bottom to the top, this ability to shift the foot is very handy. 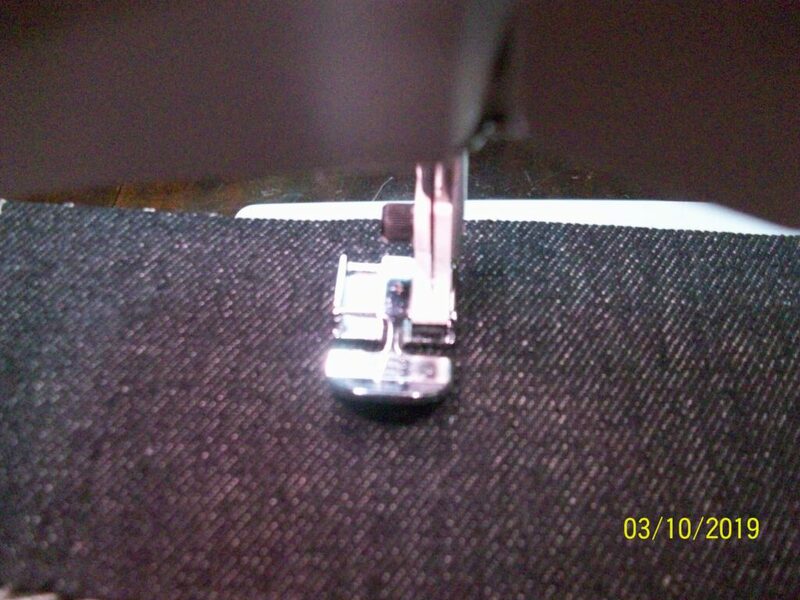 Pfaff foot attached to sew up the right side of a zipper. 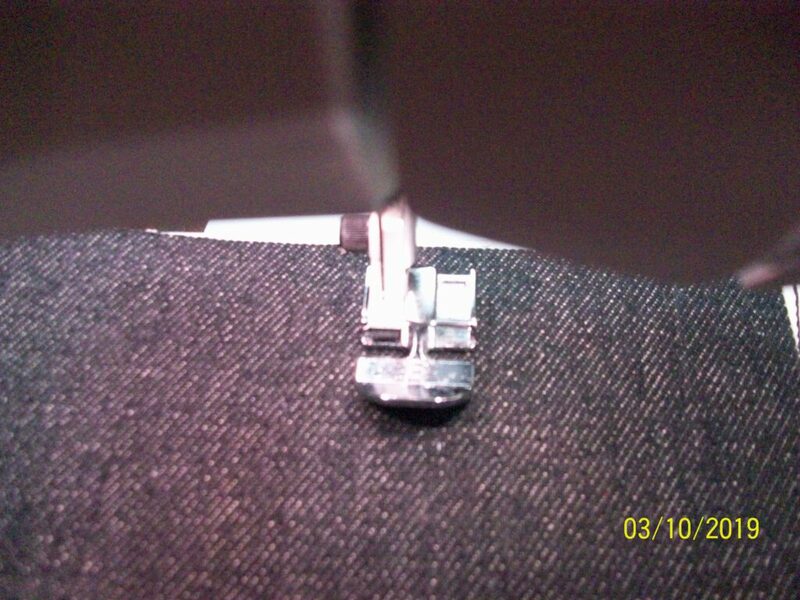 Pfaff foot attached to sew up the left side of a zipper. 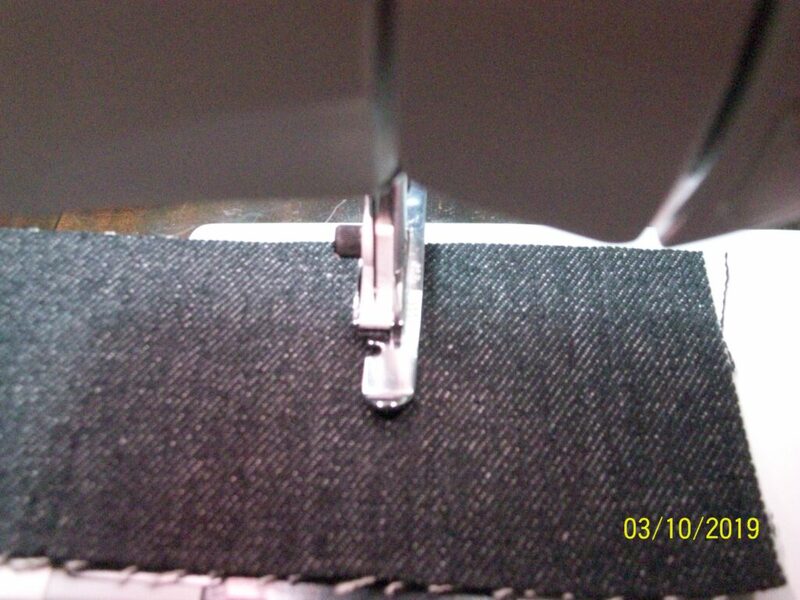 Husqvarna Viking foot attached to sew up the right side of a zipper. 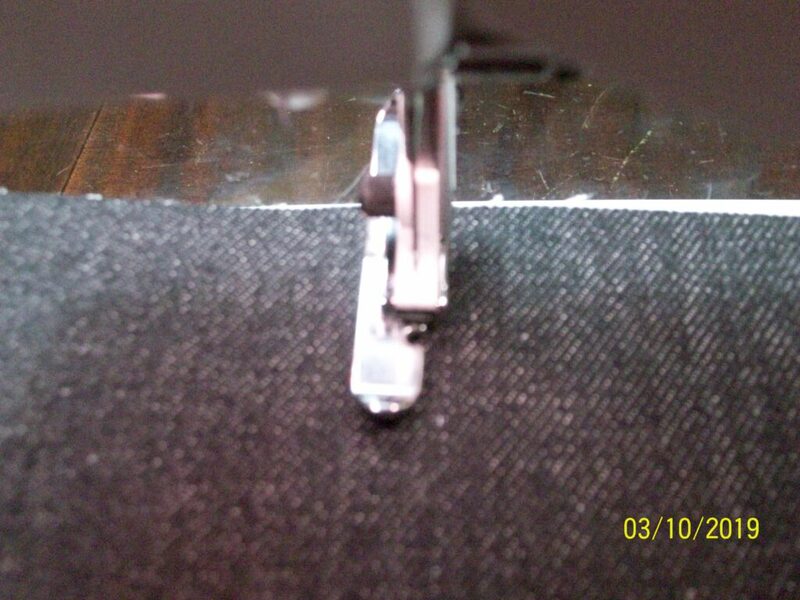 Husqvarna Viking foot attached to sew up the left side of a zipper. Specialty zipper feet come in two varieties: one for putting in a zipper when there is not much room around it (the narrow zipper foot) and one for inserting an “Invisible” zipper. 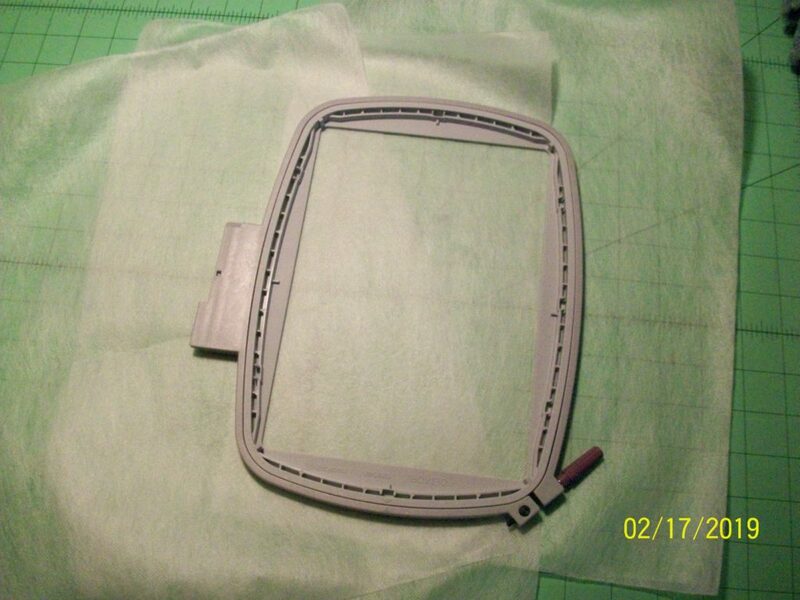 This foot, either in metal or clear plastic, allows the coils to unroll as it is stitched giving that invisible quality to the finished insertion. Narrow zipper foot also attaches so the zipper can be sewn up the left side of the zipper…..
………or up the right side of the zipper. The foot for inserting “Invisible Zippers” comes in either a metal or plastic version. 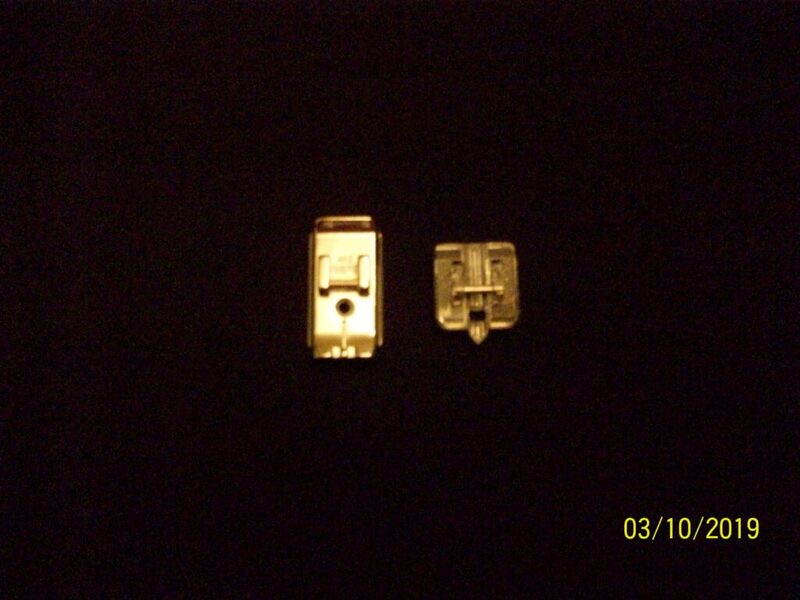 Both allow you to uncurl the zipper teeth while sewing to produce that invisible quality. 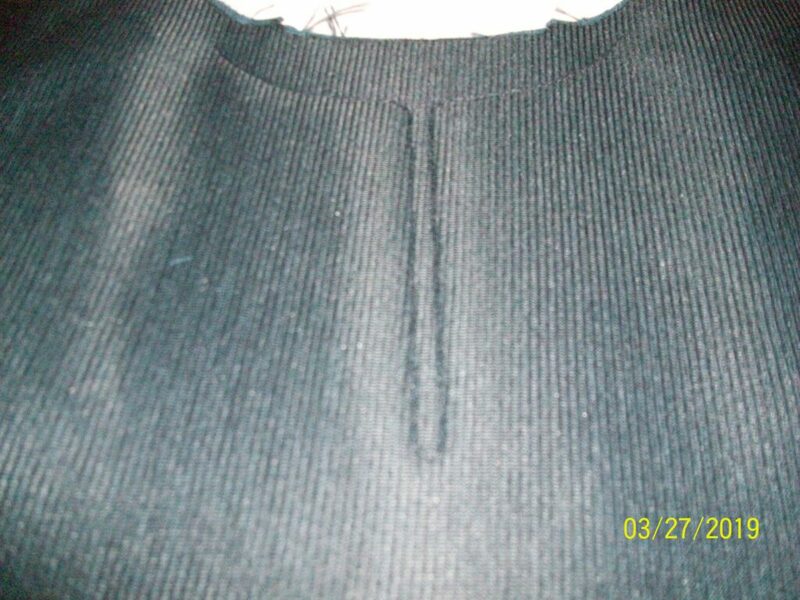 I hope these pictures have helped if you are one of those people who have had very little zipper insertion experience! As I have said many times before, I love decorative stitches! Embellishment just works for me. Over the years, because I enjoyed using decorative stitches in so many of my projects, I quickly grew weary of only stitching in straight lines. Whenever I chose to use my decorative stitches in some other way other than in straight lines though, my project seemed to take on that, “Bless your heart, you made that yourself, didn’t you?” look. No one needs that! So I decided to start practicing; specifically, left and right 90 degree corners and decorative stitches along gentle curves. If you do not already possess these skills, I hope you will start your own practice habit. 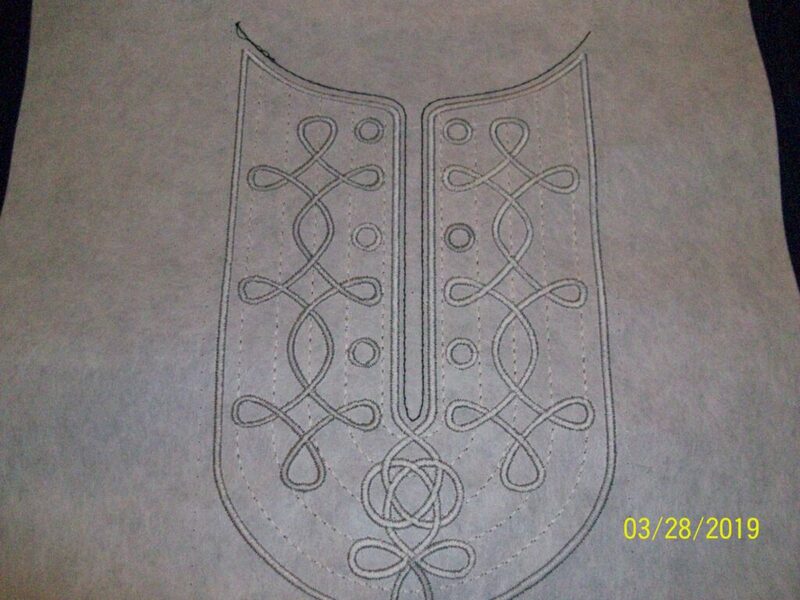 Practice lines on my fabric for right angles and gentle curves. The curve is a 3mm curve. 1. 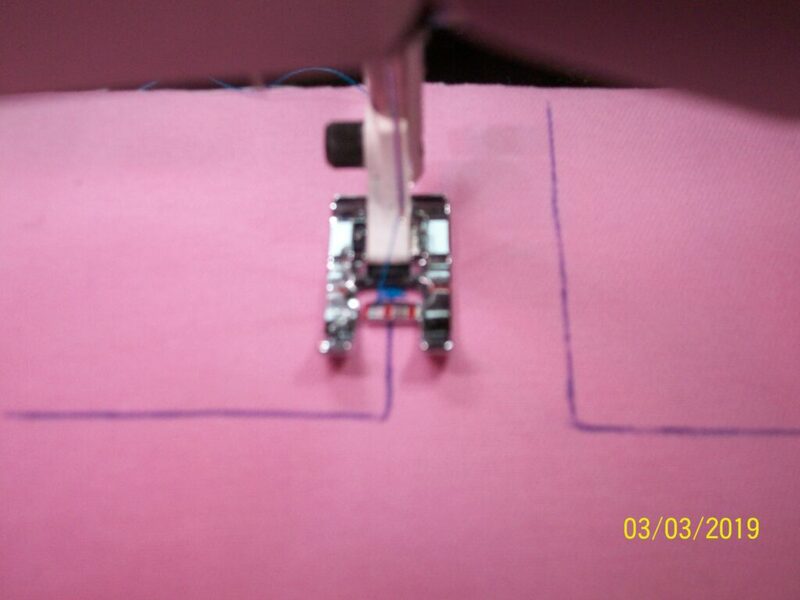 When stitching with decorative stitches, always work with the needle in the “down” position when you stop sewing. 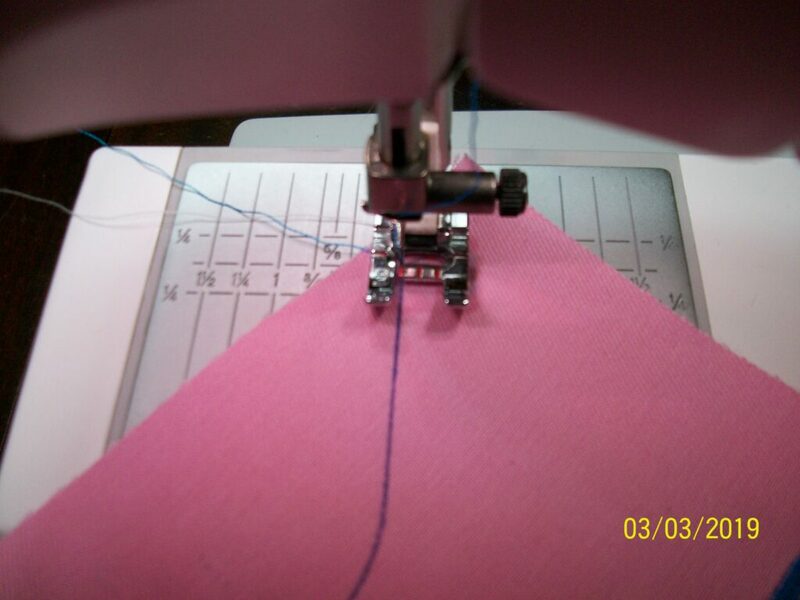 This will allow you to always keep your needle exactly where you left off so when you change sewing direction, the stitch does not get distorted by the needle or by the fabric moving unexpectedly. 2. Use the marks on your presser foot to help you keep the alignment you want for your stitch. 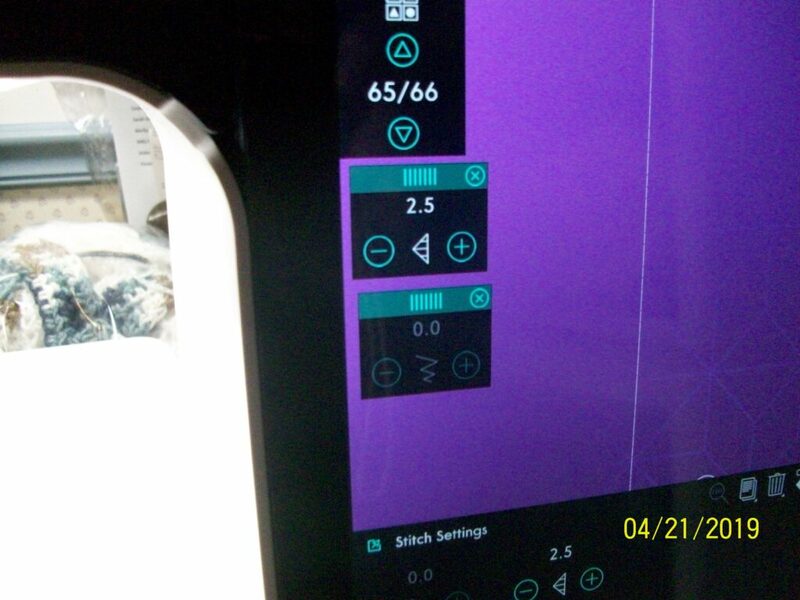 You may find it helpful to slow down the speed of your machine to facilitate accuracy. 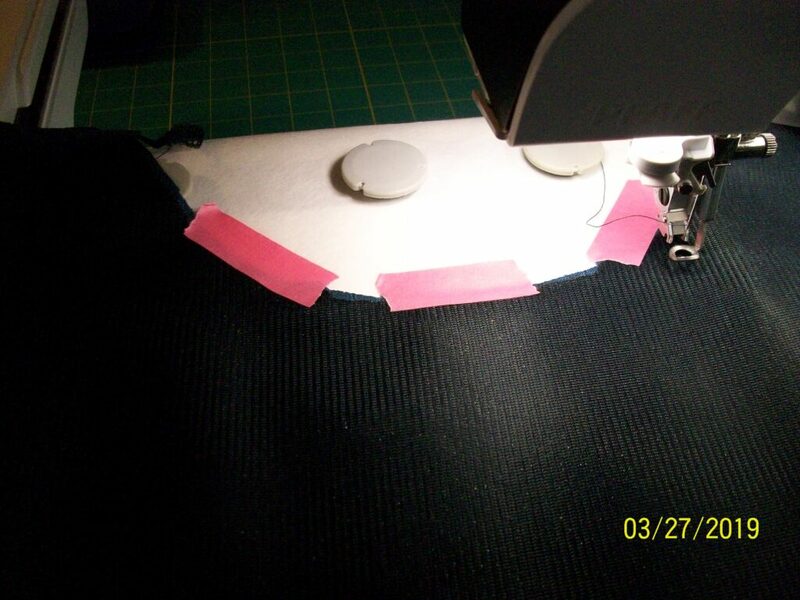 Here I am lining up the red middle guide mark on the foot with the drawn line on my fabric. 3. 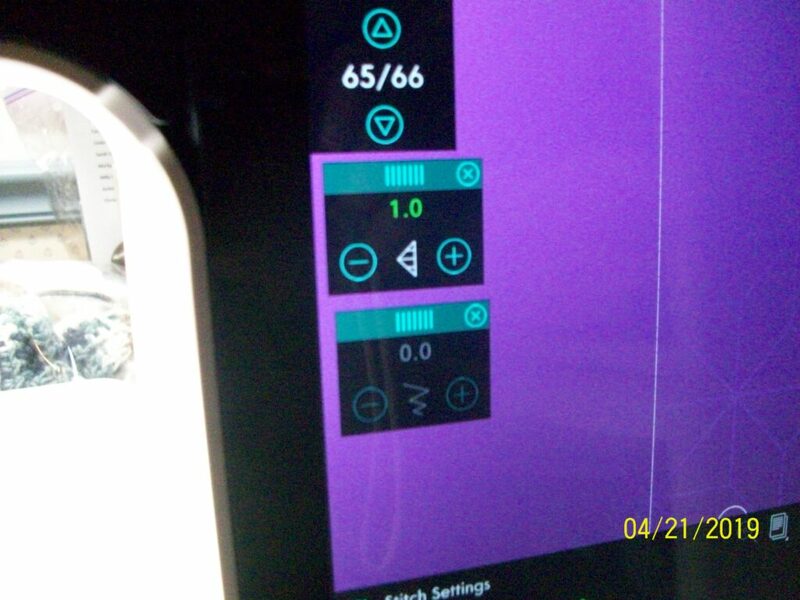 Use the foot controller and not the “Stop/Start” feature (if your machine has this). You will have much more control when using the foot controller. 4. 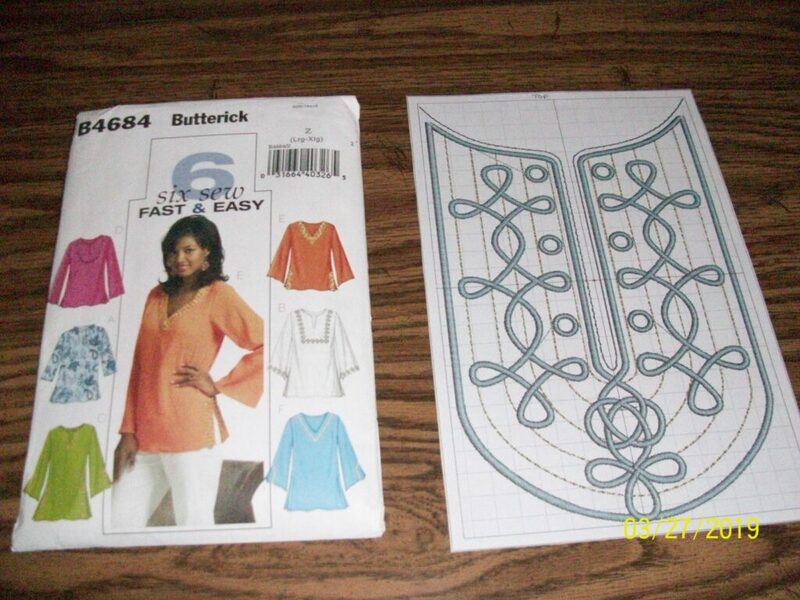 Choose stitches that naturally fit into the shape you want them to create. Stitches with a lot of backwards motion have a hard time following curves, for example. I chose a stitch for the curve and then used the side to side mirror image function. 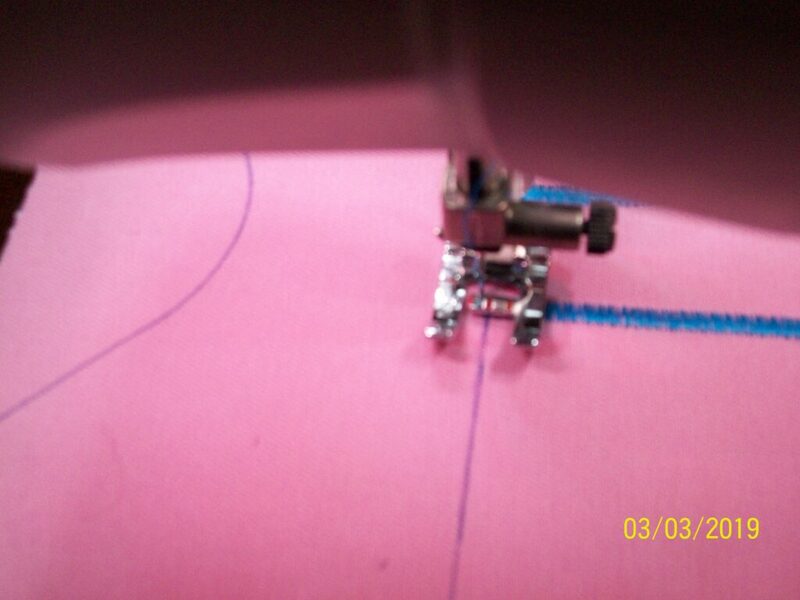 Lining the foot up for the decorative stitches on a curve. The middle mark is not my best option here, so I chose to follow the left foot marking. 5. 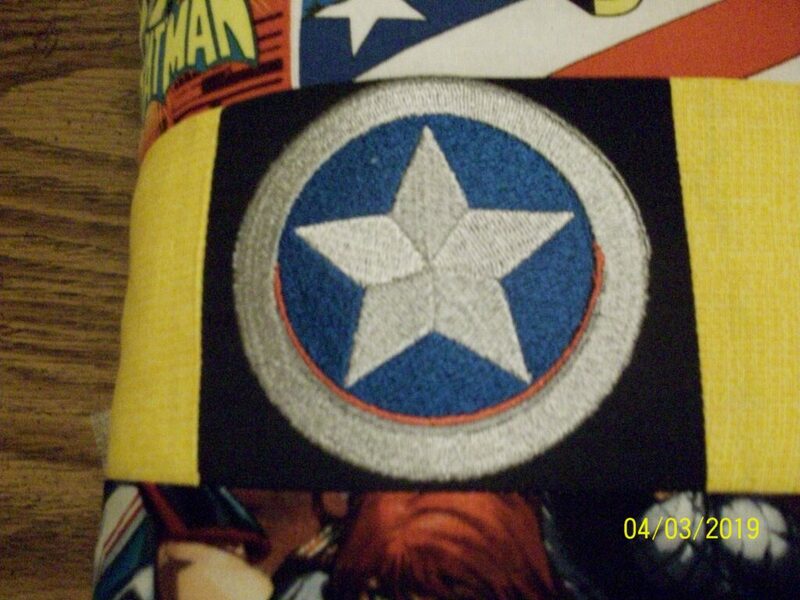 When using satin stitches for right angles, where the needle stops is very important. When your angle goes off to your left, the needle needs to stop in the down position on your right inside the foot before making the turn. When your angle goes to your right, the needle needs to stop in the down position on your left inside the foot before making the turn. With practice, these specific needle stops will yield perfect right angles. Also, in order to maintain a right angle and keep your presser foot lined up correctly, you will need to sew past the line you are going to sew next. 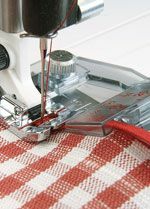 In other words, when coming to the corner, sew past it a couple stitches until the presser foot guideline you have been using lines up perfectly with the line you are going to sew next. The needle is now set to turn the corner and sew to my left, down the next line. The needle is now set to turn the corner going to my right. The finished practice exercises. Remember to use stabilizer on the back of your fabric and the presser foot meant for decorative stitches for best results. 6. The most important thing to remember is to breathe and have fun! Frequently during my machine classes customers ask me about bias binders. It sounds so promising that a foot can be attached to the machine to make this finish easier and faster to apply. Many times the question is, “Do they really work?” My answer is always “yes”, but there is a caveat. You will need to practice using them to get the professional results you are seeking. Much like the hemming feet, I find that using the bias binders and the quilt binder take some practice, but they do make the job much faster if you have put in the time learning how to use them. When purchasing any of the binders you will want to keep in mind how each foot was designed to work. Some feet are made to work with purchased binding, some are designed to work with binding you cut and create. 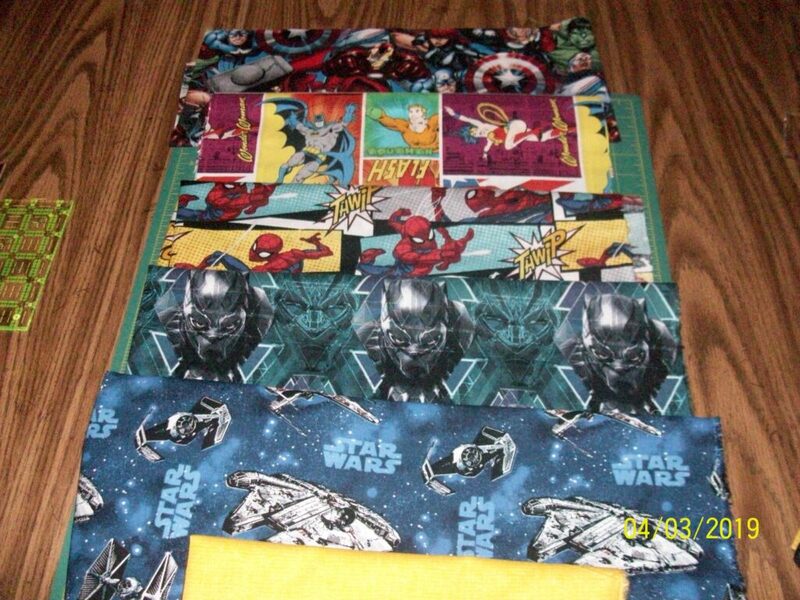 Adjustable binders are usually meant to work best with purchased, pre-folded single fold bias tape. 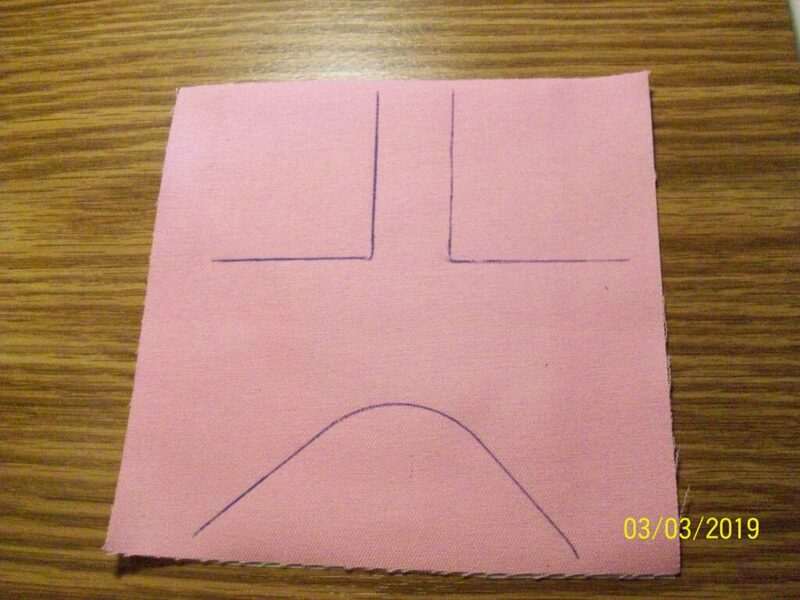 Stationary binders are meant to be used with purchased bias tape or created bias strips within a certain size range. I spent my career as an educator teaching children in grades K through 6. Directions are the bread and butter of a teacher. Teachers aren’t always terrific at following directions, though. 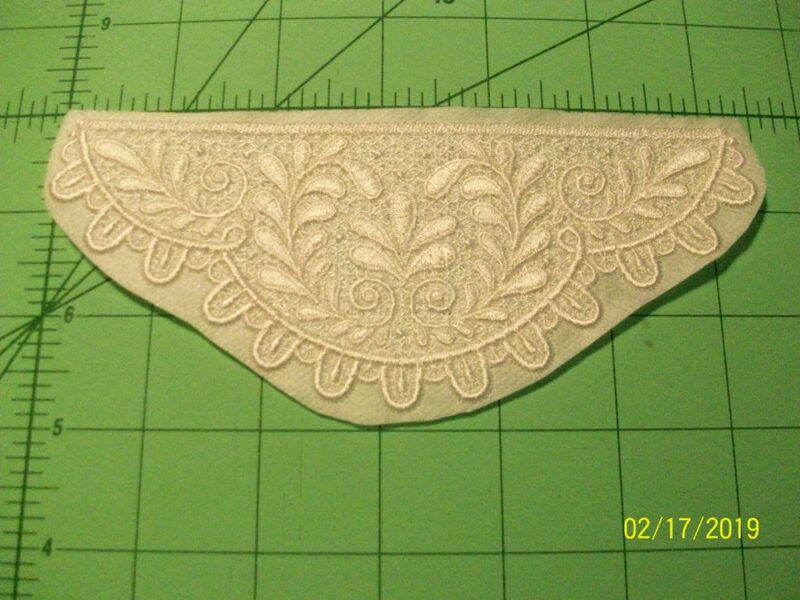 I am making a garment onto which I will be appliqueing lace on the front as well as on the back. 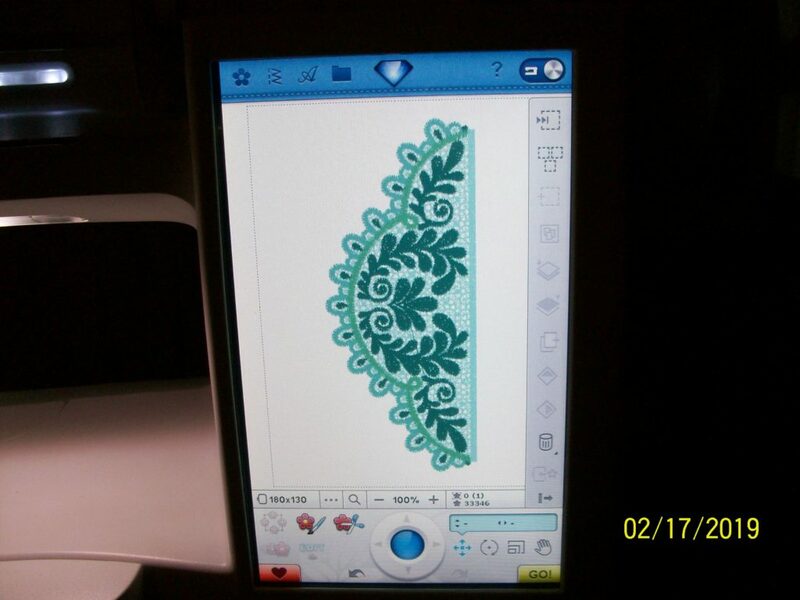 In my opinion, free standing lace is one of the most elegant items that can be created on an embroidery machine. 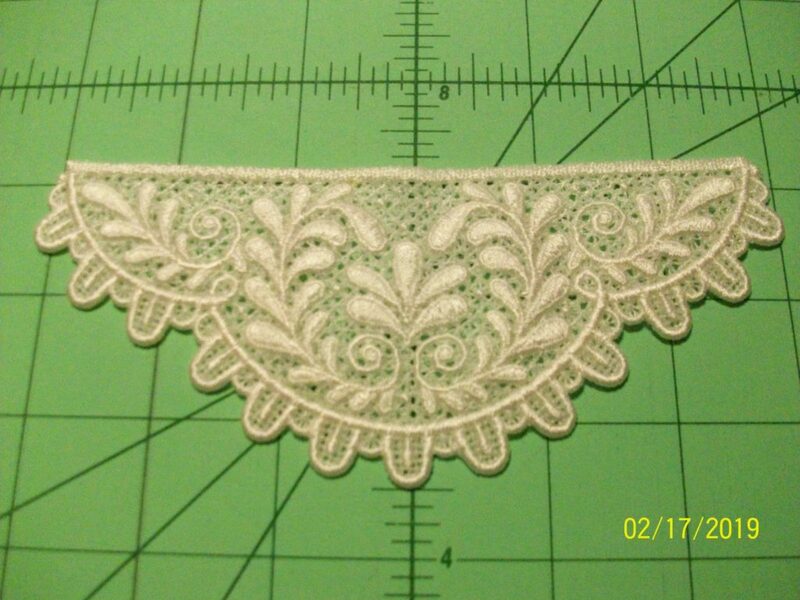 This is the lace I decided to create using a natural white thread, with no color changes. In the past, I have followed the directions to the letter about what types and what weight threads to use, the speed of the machine and needles to use. My embroidery always seemed to bog down as the satin stitches began to layer one upon the other, breaking needles, thread and necessitating the slowing of the machine to its slowest speed just to get through. This just didn’t seem right to me, so I decided to make some rule changes of my own. Some types of laces are more open than others, so this writing is pertaining only to the lace I made today; a fairly dense lace. 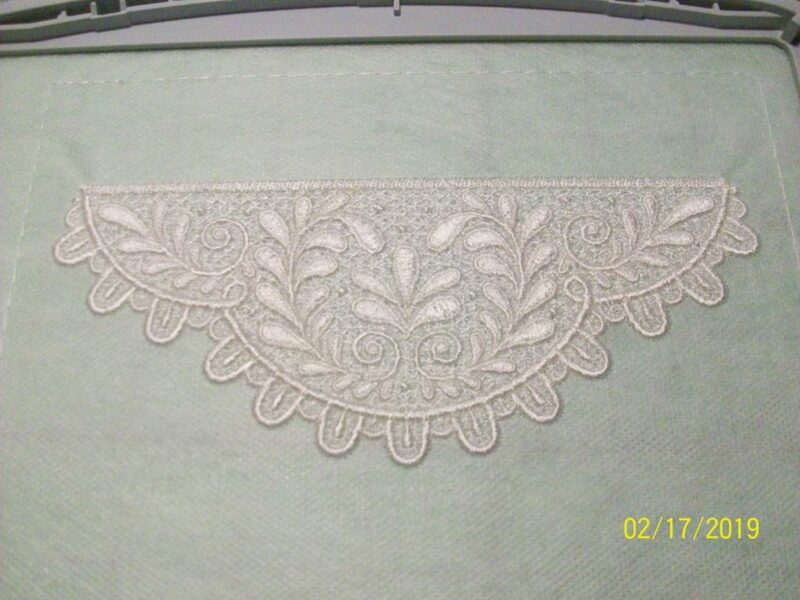 For this lace, the directions asked for 40 weight embroidery thread for the top. I followed that direction. 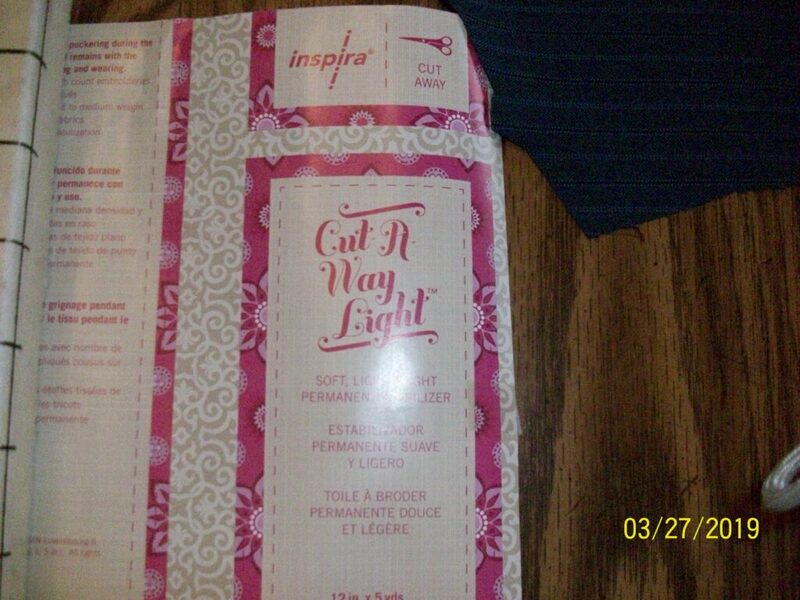 The directions then asked for the same 40 weight thread to be used in the bobbin. To me that seemed as if it would be too thick so I decided, since the back of the lace would not show, to use 80 weight bobbin thread that I bought at Bonny’s last week, which is very thin. 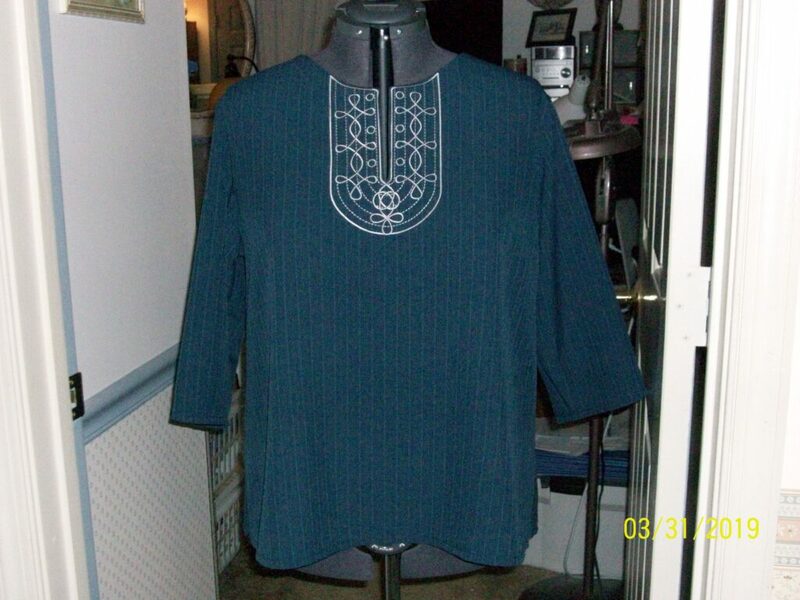 I used 80 weight Deco-Bob bobbin thread instead of my usual 60 weight or the 40 weight the directions suggested using. 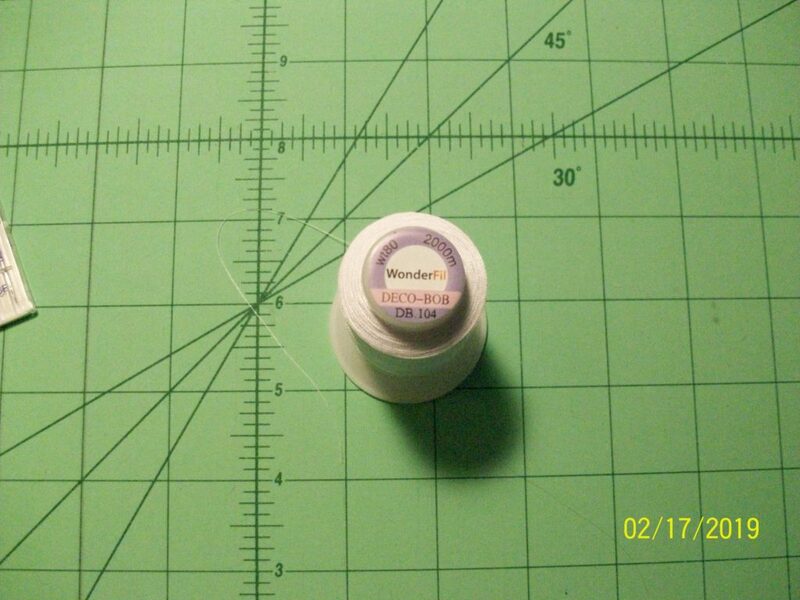 Remember, the higher the number the thinner the thread. The needle recommendation was for a new 75/11 sharp needle. 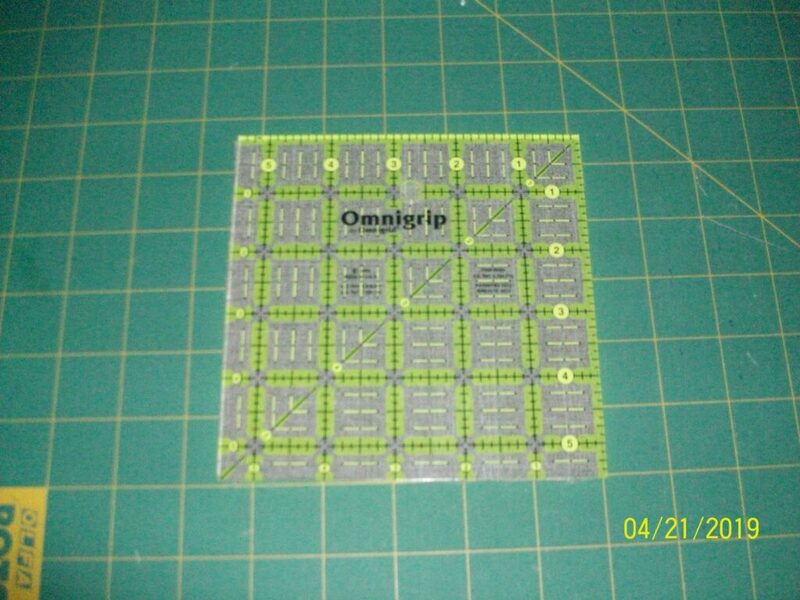 I instead used a new 80/12 chrome coated Microtex. 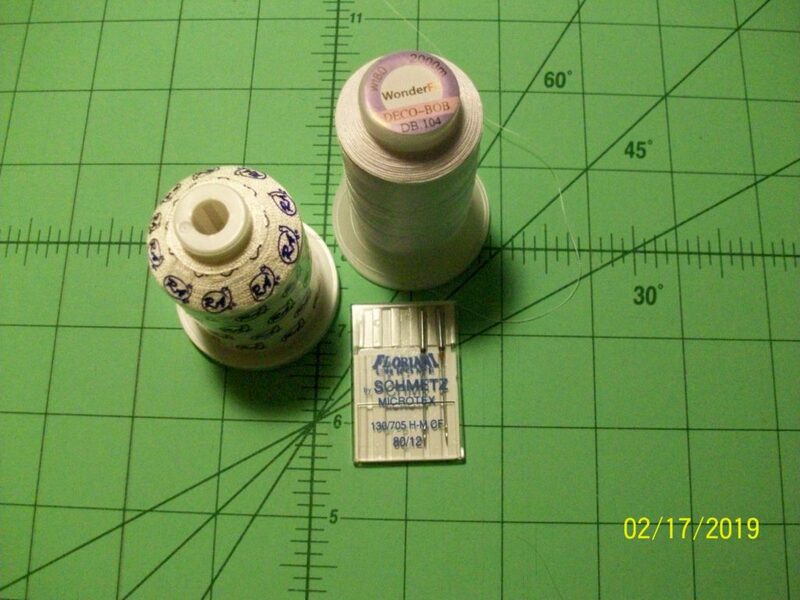 Top thread, bobbin thread and needles I used. 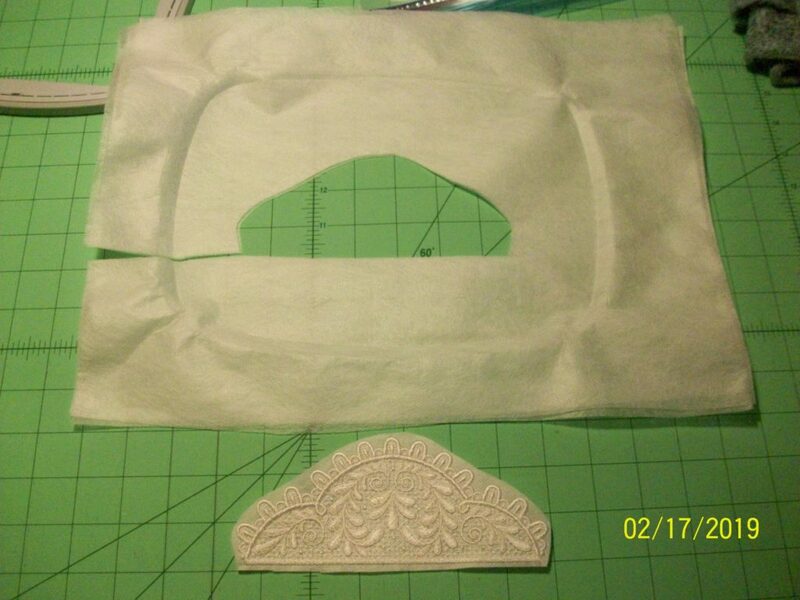 The directions also said to use 2 layers of non-woven water soluble stabilizer; I used 3. All the materials I needed to create my free standing lace. 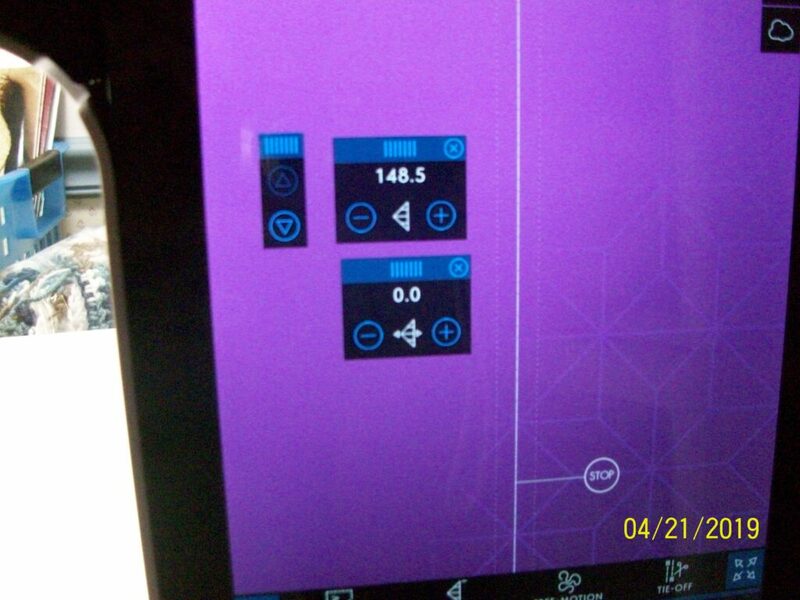 Lastly, the directions asked for the machine speed to remain unchanged. 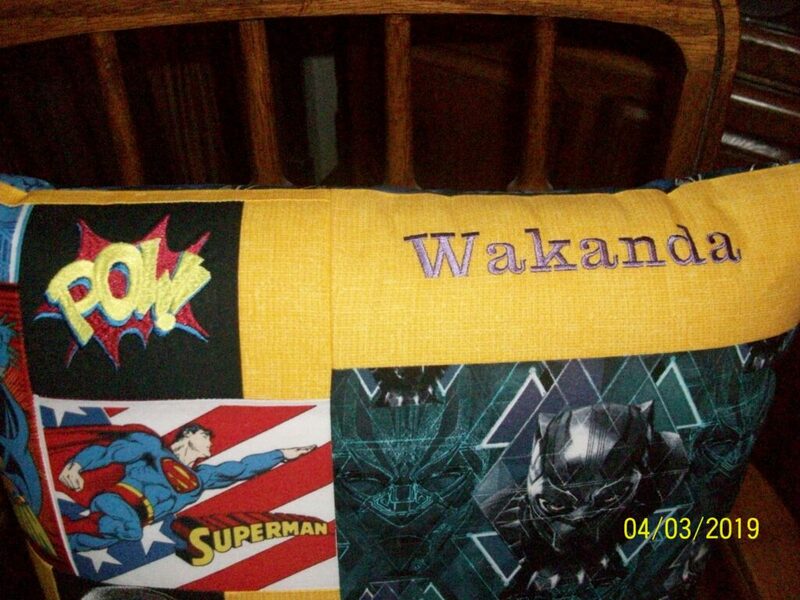 I embroidered all of the under stitches at the highest speed. 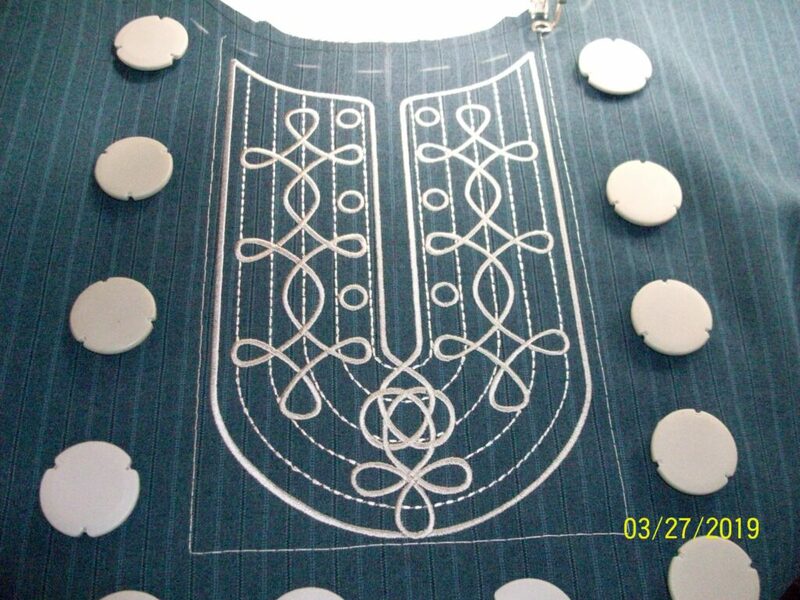 As soon as the more dense satin stitches began on the outside of the design, I dropped the speed by one level. As the even more dense stitches began in the center of the lace, I dropped the speed to half. 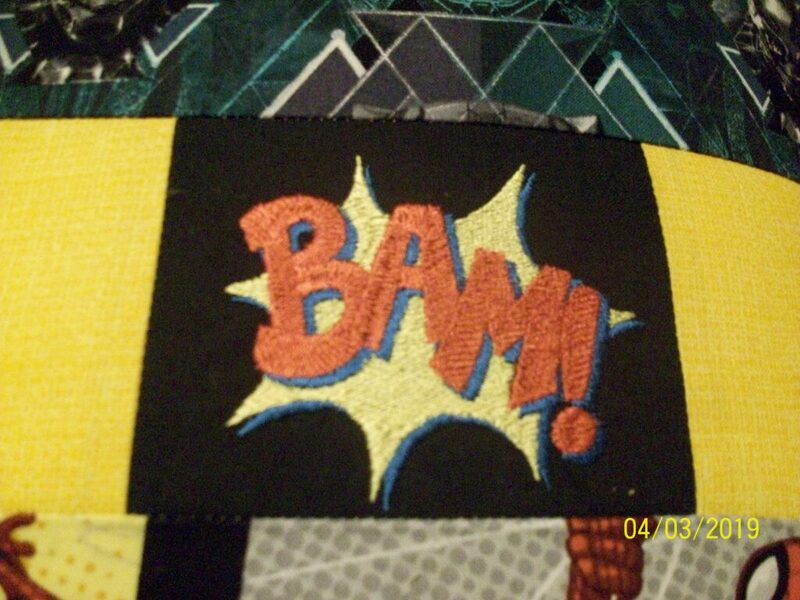 Once the under stitching was finished, I lowered the speed by one level. I lowered the speed again when the stitches became even more dense. The finished stitch out, still in the hoop. 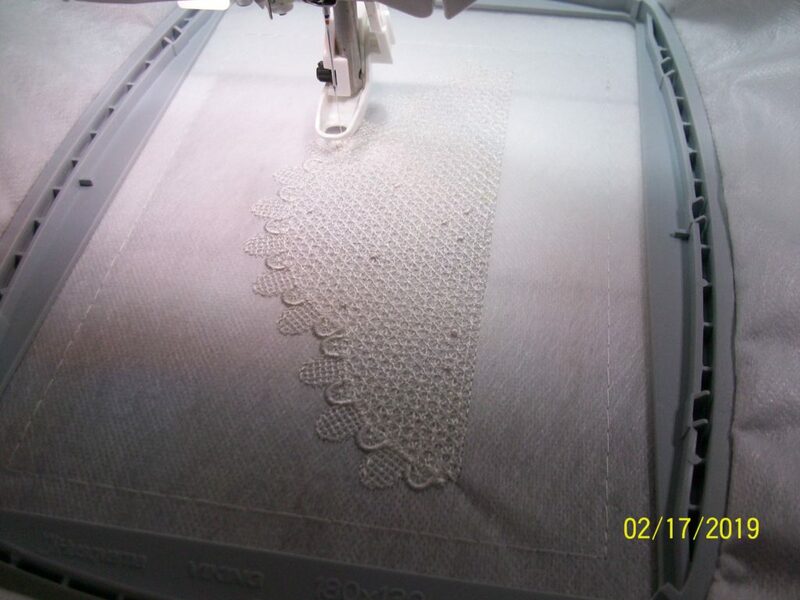 This 33,000+ stitch lace was done in 1 hour and 20 minutes without a hitch. I cut away the excess stabilizer and put it away for another project. Once the excess stabilizer has been removed, it’s time for a warm bath! This is the lace before the bath. This is the lace after the bath. I pass along this knowledge in hopes that, you too, will be a directions maverick!